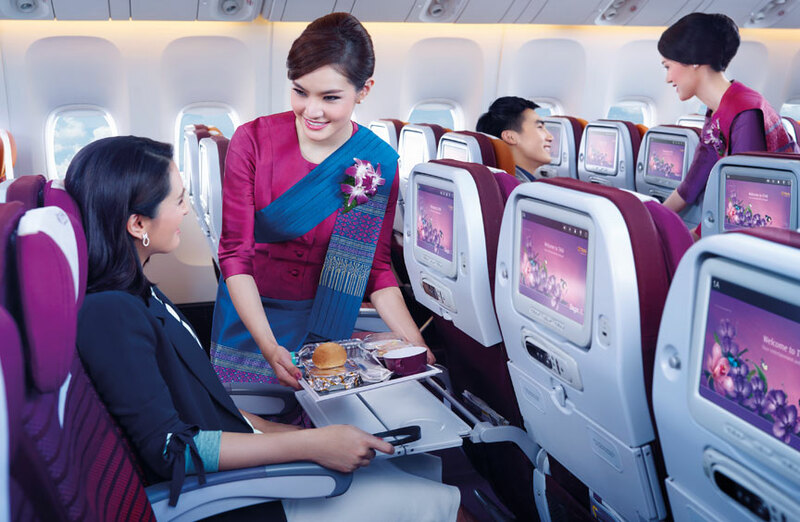 A warm welcome and world-class service awaits with Thai Airways. Connecting you to Asia and Australia with flights to 32 countries, popular destinations include Bangkok, Phuket, Singapore and Sydney. 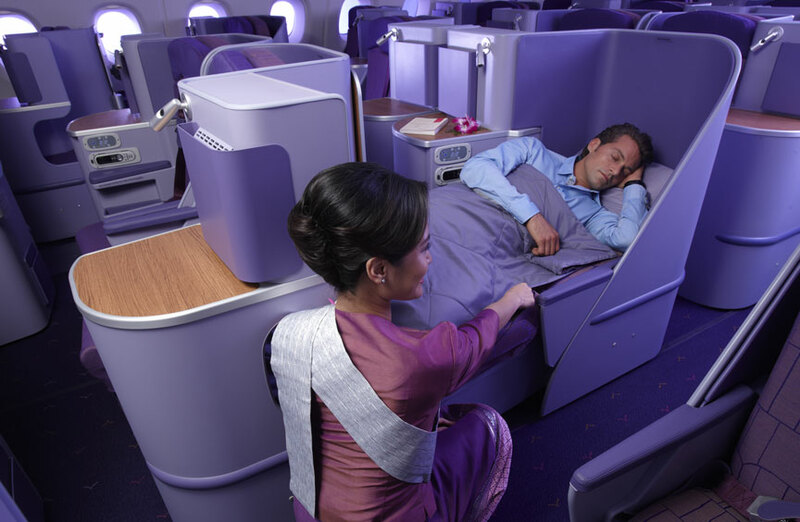 As one of the founding members of the world’s first and largest global airline alliance; Star Alliance, alongside an award-winning history - recently voted one of the World’s Top 10 Airlines and winners of the ‘World’s Best Economy Class’, ‘Best Economy Class Onboard Catering’ and ‘World’s Best Airline Lounge Spa Facilities’ at the SKYTRAX awards - Thai Airways is the perfect choice for your travel needs. Expect more than economy in Economy, step on board and enjoy a Thai welcome like no other. Sit back with wider seats, generous legroom and your own in-seat personal touchscreen with an extensive media library. Catch up on what matters to you with THAI Sky Connect in-flight Wi-Fi service*. Take a nap with your personal pillow and blanket and dine on award-winning hearty hot meals. 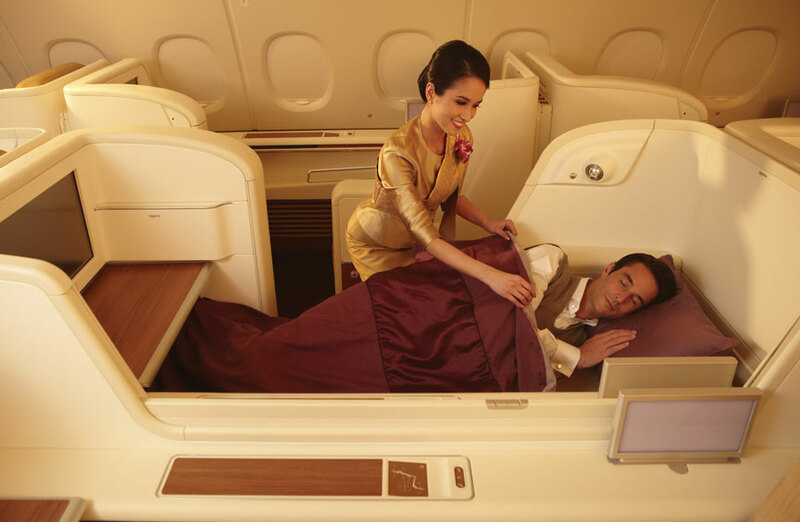 Step into a journey as smooth as silk on board THAI's business class - Royal Silk Class. Where every detail is taken care of, expect impeccable service, a reclining chair that transforms into a fully-flat bed with plenty of space for a peaceful sleep. Open a box set, catch a movie or listen to a whole album on your own 16" flat screen with PC power point and USB charging. Choose from the delicious ‘Samrab Thai’ menu - an authentic full-course Siamese dining experience crafted using the freshest ingredients for a distinctive Thai touch - all washed down with equally fine wines. Impeccable journeys start in Royal First Class. Unwind and feel the tranquillity of your own semi-private suite. With must-see movies and hundreds of hours of entertainment, you're all set on your 23" flat screen. Take a break and put your feet up as you switch off in your very own flatbed with bespoke amenities including sleepwear and designer travel kit. Escape on a culinary journey with exquisite flavours that can be tailored to your taste. Expect vintage champagnes, classic cocktails and handpicked wines throughout. *THAI Sky Connect is available at a charge on selected aircraft and routes. The above prices are guidelines only and are correct at the time of publishing. Subject to availability. Other travel dates are available, supplements may apply. Please use the search box or call for details. For more information please read our Pricing Terms and Conditions.